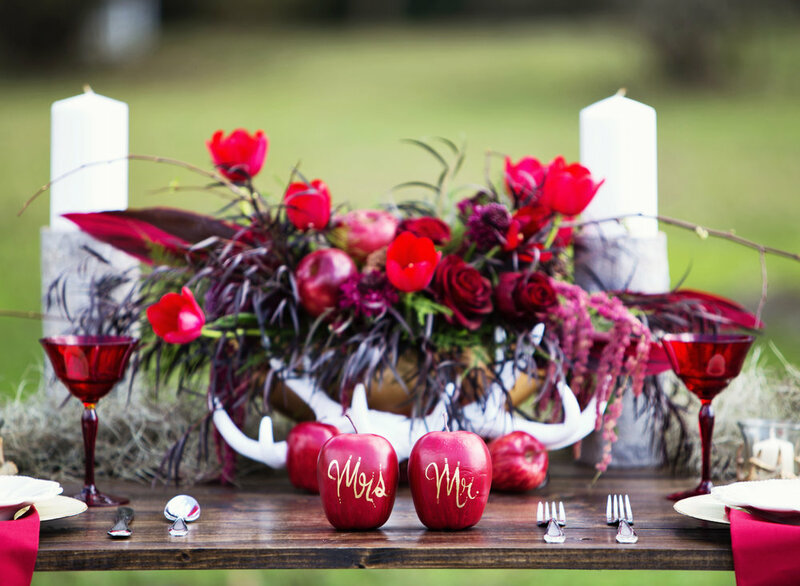 Randi Fracassi of Poppy Lane Events is featured on our blog today to talk about the importance of hiring a coordinator or planner! 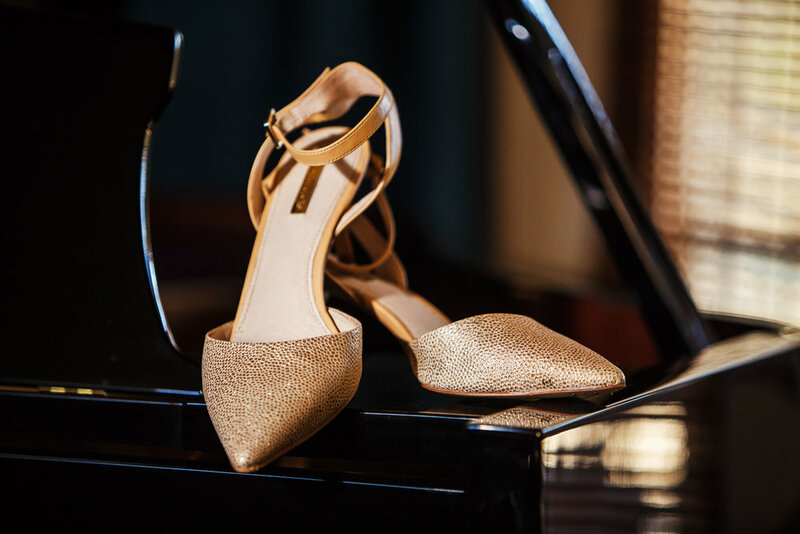 If you're planning a wedding, you will definitely want to hear what she has to say. I recently posted on my own blog a post regarding the most important investment you can make in regards to your wedding, where I discussed that it’s not a material investment you need to be conscious of…you need to make the investment into your relationship and into your marriage after the wedding and the celebrating. And trust me, I still hold true to that conviction and piece of advice. Your wedding is one day, but your marriage is forever. So, if investing into your relationship as a married couple is the most important investment you should be making, what is the second most? 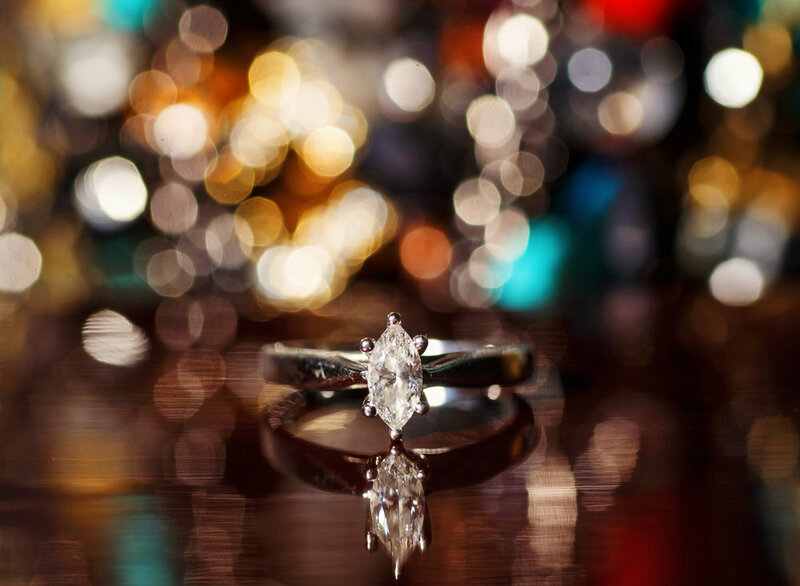 What could you do to make sure that your wedding day is perfect? And not break the bank in doing so? Let me tell you: it’s in hiring a coordinator or planner. Wait what? Doesn’t’ it cost money for those services? And my venue has one, so why spend the extra money? Now, before I become too engrossed in how to find a coordinator within your budget, and that yes, it is a possible thing no matter your budget to hire someone, let me explain what exactly is it that coordinator and planners do that separates them from a venue coordinator, your photographer’s timeline, and the DJ or Band emceeing throughout the night. 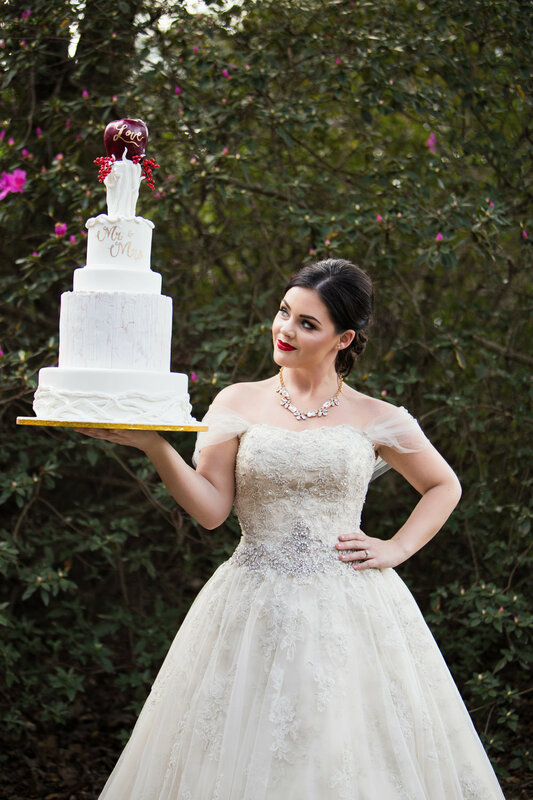 What really make an outside coordinator different than one provided by your venue or enlisting your photographer’s assistance is that they’re one and only goal is to make sure you get the absolute most out of absolutely everything relating to your wedding. From reviewing all vendor contracts to make sure that they will be held accountable for their services, to troubleshooting issues outside the realm of the venue’s property lines, and following up post-event to make sure the level or service and products were to everyone’s standards. 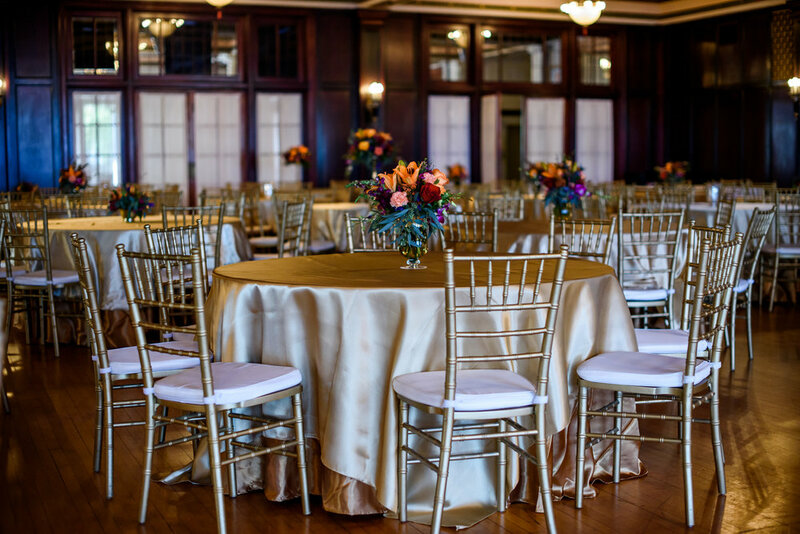 When you hire a coordinator for your wedding day, you’re hiring an expert whose sole interest is in you, and will not lose focus from making sure that problems are resolved, vendors are managed, and that you and your spouse are happy with every aspect of your day. I’m not saying that your other vendors are out to get you; but, they’re occupied with making sure their agreement with you is being fulfilled, and while a reference or referral is rather easy and freely given when asked, asking for these vendors to work outside of their scope or do more than their contracted services can actually inhibit them from doing their contracted services to the best of their ability…and therefore, you end up with a bad client experience, or not getting everything that you were contracted. So here comes the kicker: hiring a coordinator means contracting another vendor, which means spending money. 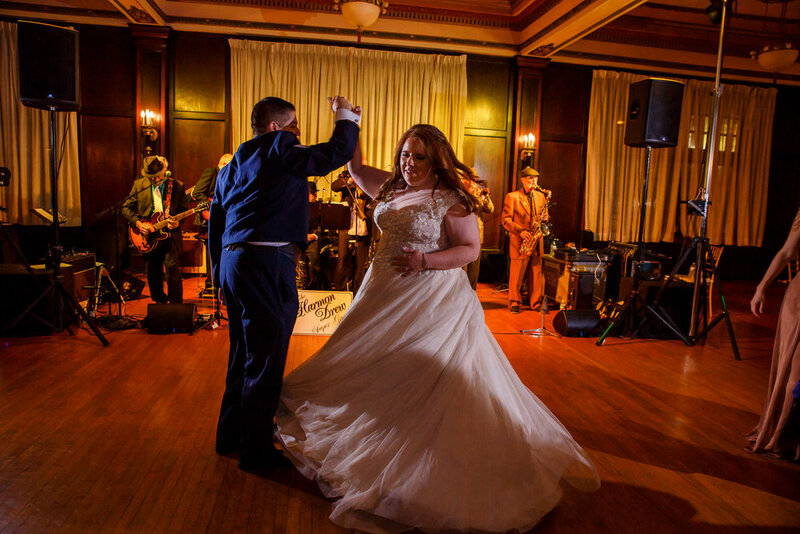 Most often than not, when couples evaluate what is valuable to them on their wedding day, it’s in the means of material and physical goods and services (ie, photography, food, and good music are the most popular answers I have received from my clients). 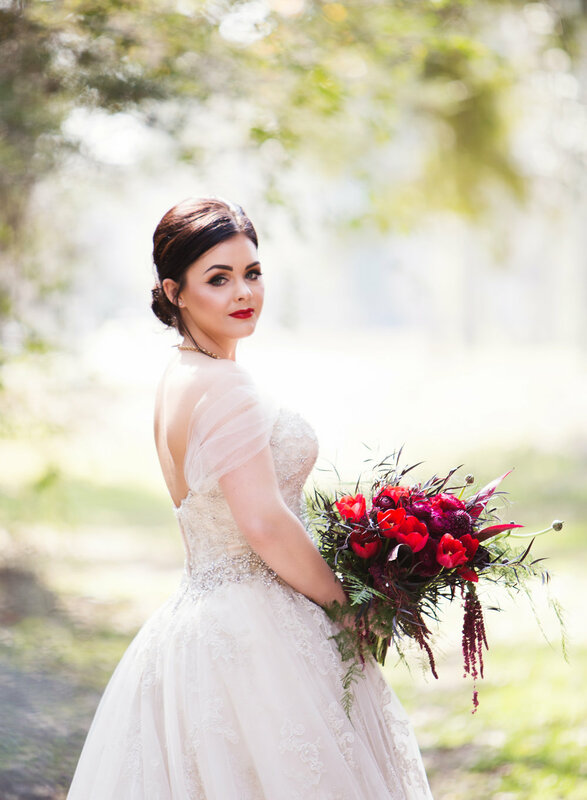 When you think though on how you want to feel on your wedding day, the first and foremost answer is going to be “happy”, following closely by “stress free”. 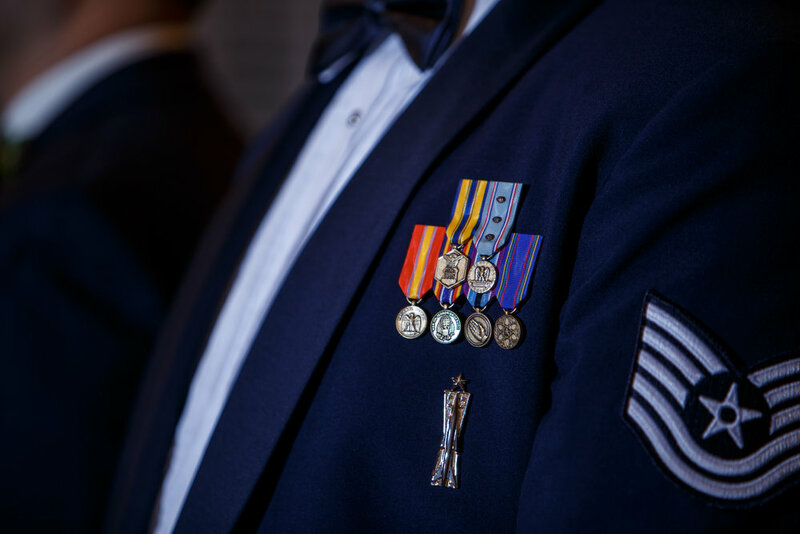 When you enlist in the help of a coordinator or planner, you are investing in those feelings and how you want to spend your day; hiring one then, should be of the utmost importance in securing happiness and making sure that you, your spouse, your families, and your friends are not stressed throughout the day. It’s also worth to note though, that once a couple hires a coordinator or a planner, they on average save couples the cost of their fees. There aren’t a whole lot of concrete numbers on this, but when you have that third party on your side negotiating contracts, already knowing vendors within your budget, and have an arsenal of experience in making sure that you get the absolute most and best quality for your dollar…they pay for themselves every time. 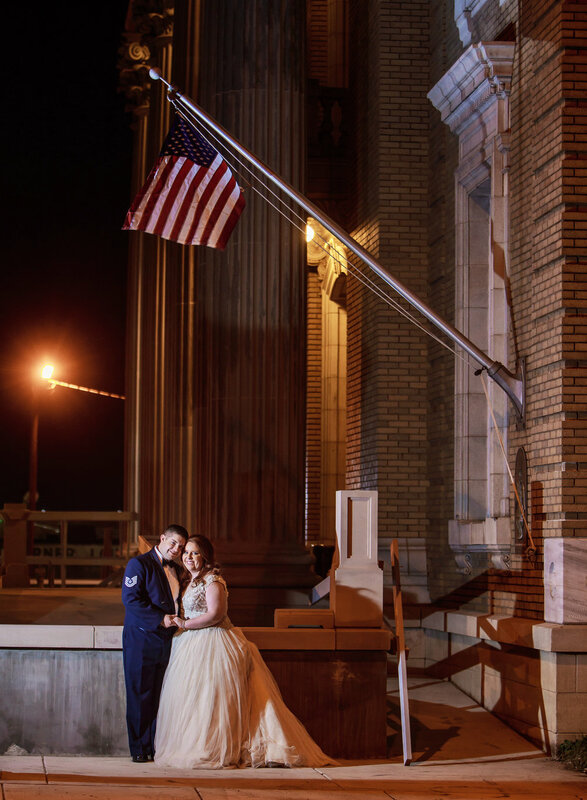 Looking back on your wedding day, you’re going to want to remember the details: the look on your spouse’s face when they see you, how it felt to feel your wedding band slip onto your finger for the first time, laughing during the Best Man’s and MOH’s speeches, and wishing as you do your grand exit that they night would never end. 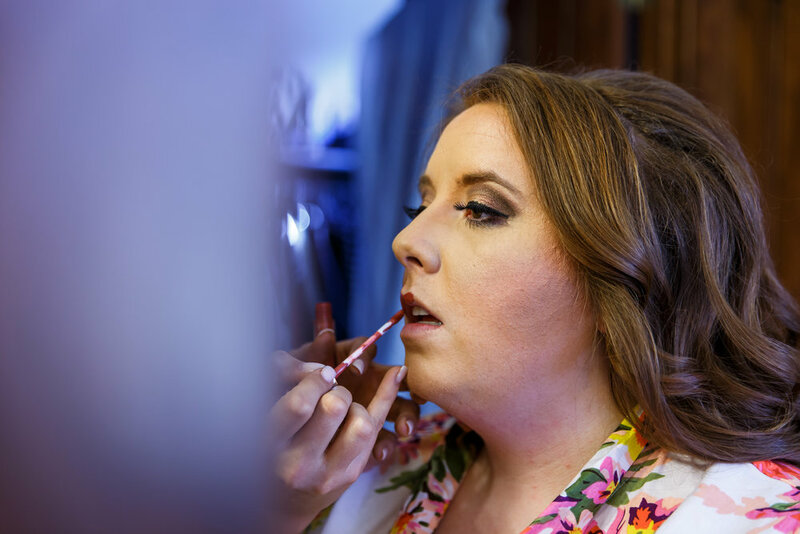 You’re not going to want to remember the limo or Uber being late and not knowing where they should be, or about how you didn’t have time to properly get your hair and make up done because you had to set up that morning. You above all, don’t want to reflect on the stress and problems that came up, but the little moments and the good time you spent with your friends and family. 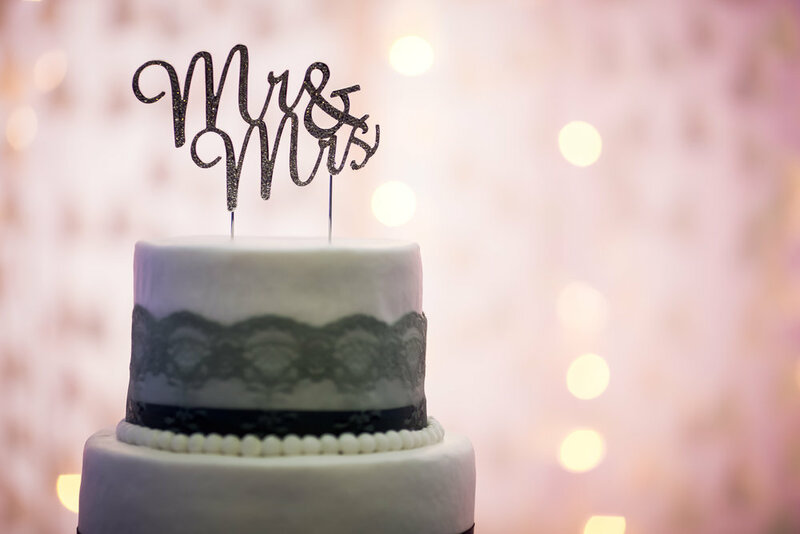 Having that third, neutral party whose sole interest is making sure you enjoy your wedding day, rather than only relying on a venue’s coordinator, a DJ’s emceeing, and your photographer’s timeline as a way of managing your wedding will inevitably lead to more stress, and increase the likelihood of contracted goods and services not being fulfilled. 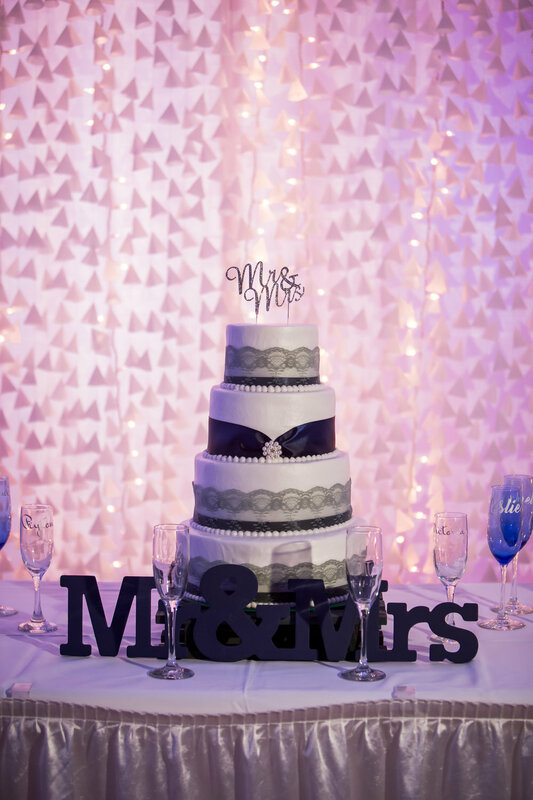 Acknowledging these things, and wanting those happy and stress-free memories, is why hiring a coordinator or planner is the (second) most important investment you can make while planning your wedding. 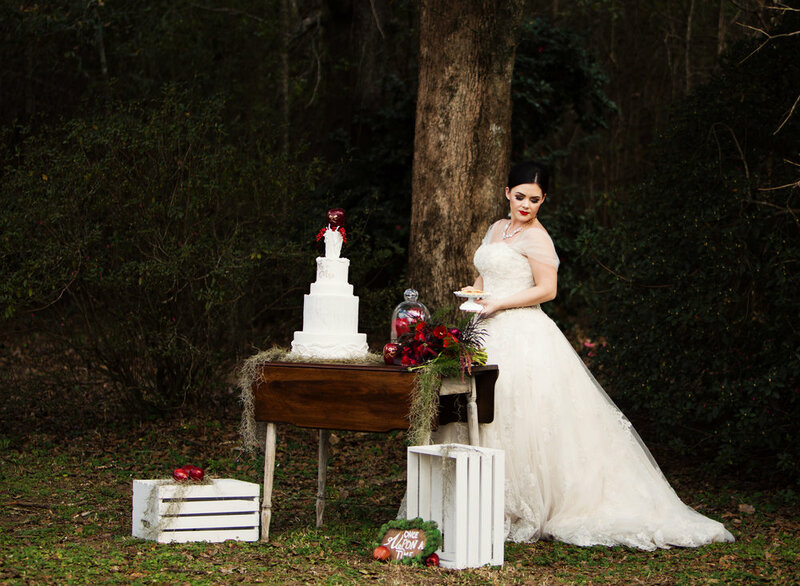 Randi Fracassi is a wedding and event planner based in Baton Rouge and Shreveport, Louisiana and owner of Poppy Lane Events. 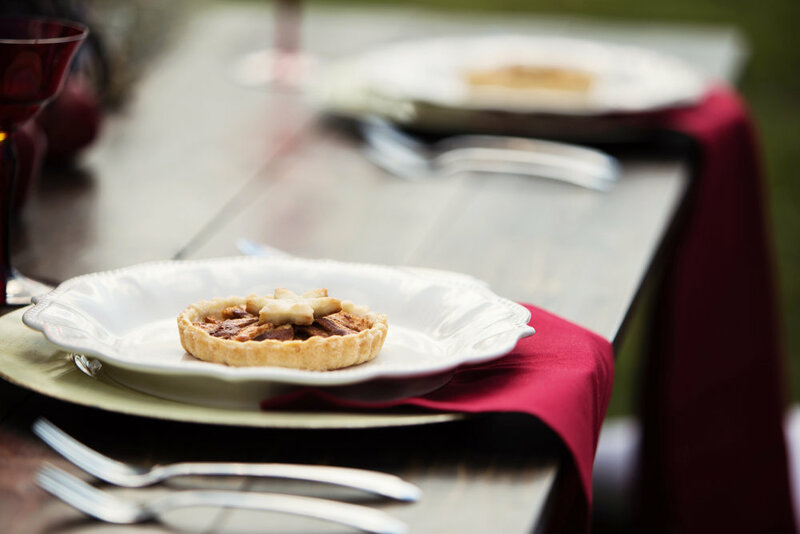 With a love for details and a focus of creating gatherings that bring family and friends together, Randi and her team are known for their simple, minimalistic take on bespoken and intimate weddings and events. 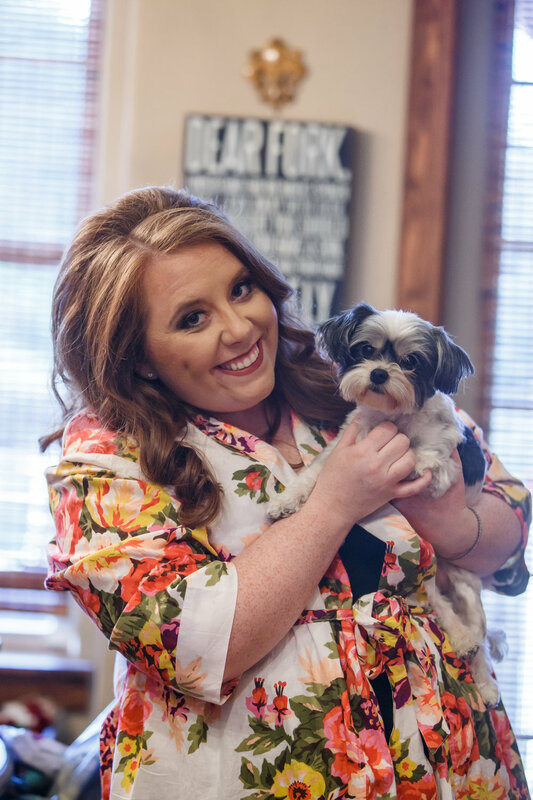 Outside of Poppy Lane, Randi renovates old homes and apartments, listens to true crime documentaries and podcasts, and goes on adventures with her Airman, Samuel. 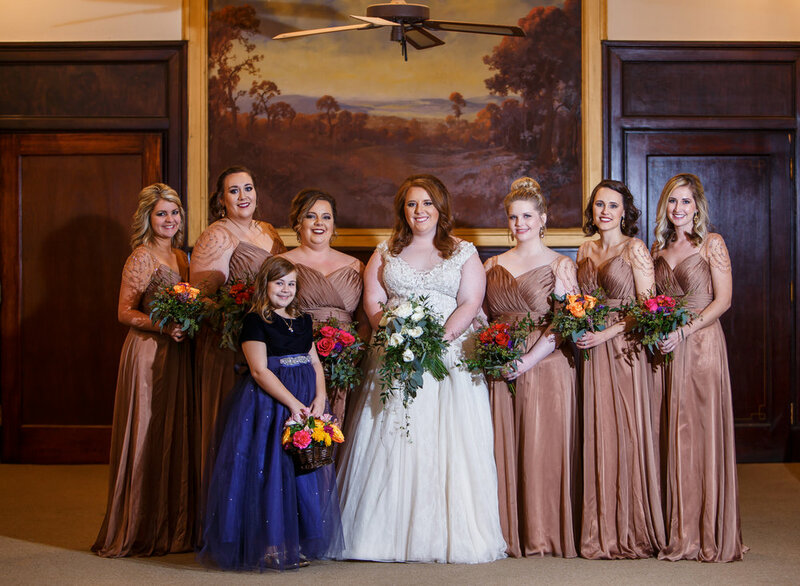 Chad & Megan’s West Monroe Convention Center wedding was incredible. 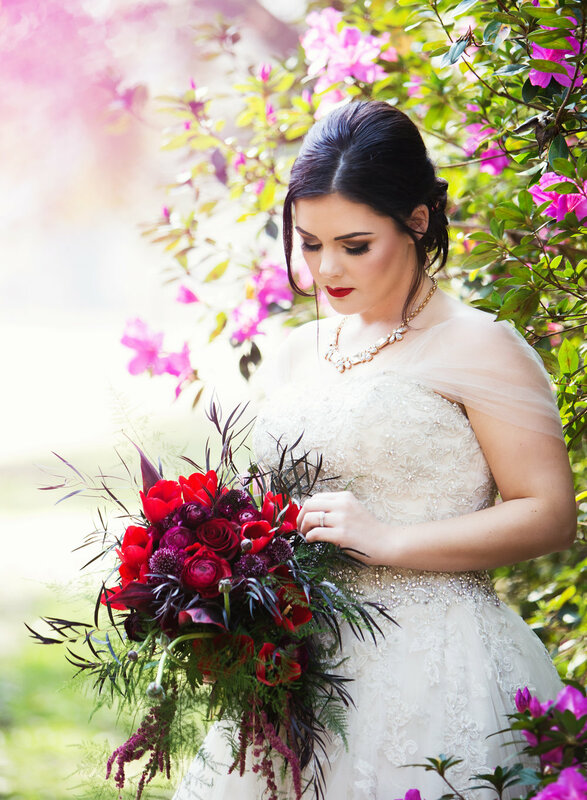 Remember Megan’s bridal portrait session? If you loved the car shot at the end, then you’ll *love* their reception set up! They chose Megan’s favorite colors, blue and silver, to decorate and showcase their love of cars. Some of the bridesmaids even dubbed it the “Winter Wonderland Car Show” wedding. 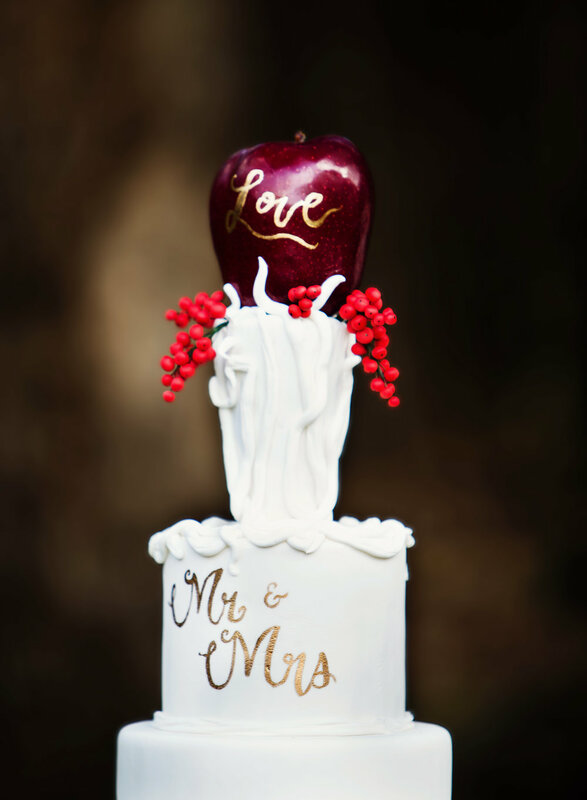 I love telling a couple’s story while incorporating the details they’ve chosen. I couldn’t resist snagging an image of their rings on this Hot Wheels Camaro! Next, I headed out to their show cars. With so many options, it was fun to get creative with their details. Megan was cool as a cucumber before her ceremony! 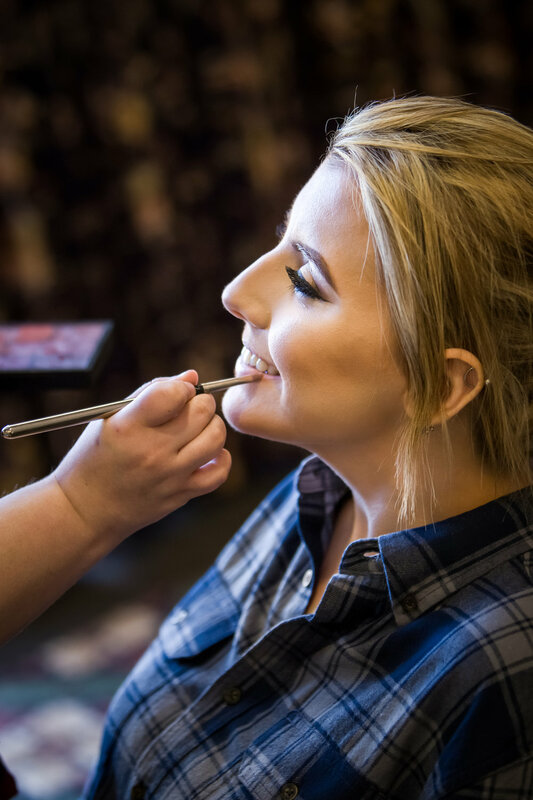 She had a great time with her family and bridesmaids getting hair and makeup done for the wedding. 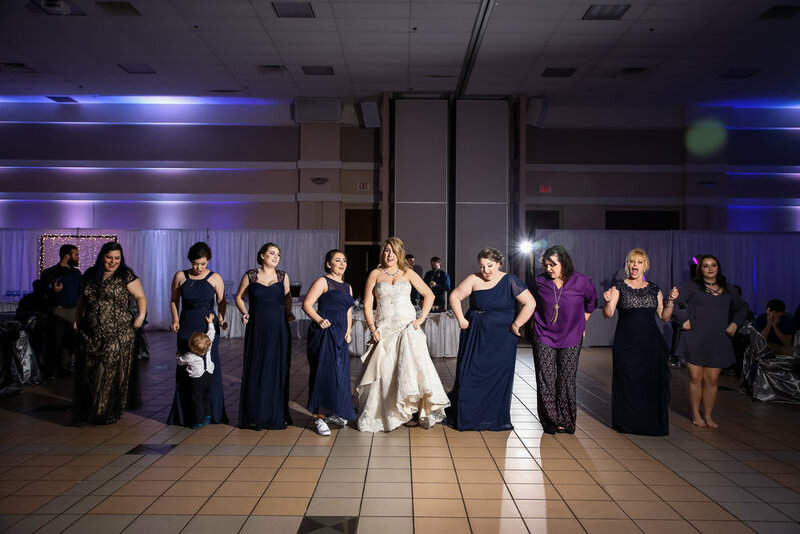 Once they were all ready, Chad & Megan wanted to be together but still have the first look as she walked down the aisle. We found the perfect spot for them to hold hands, talk, and calm each other’s nerves. 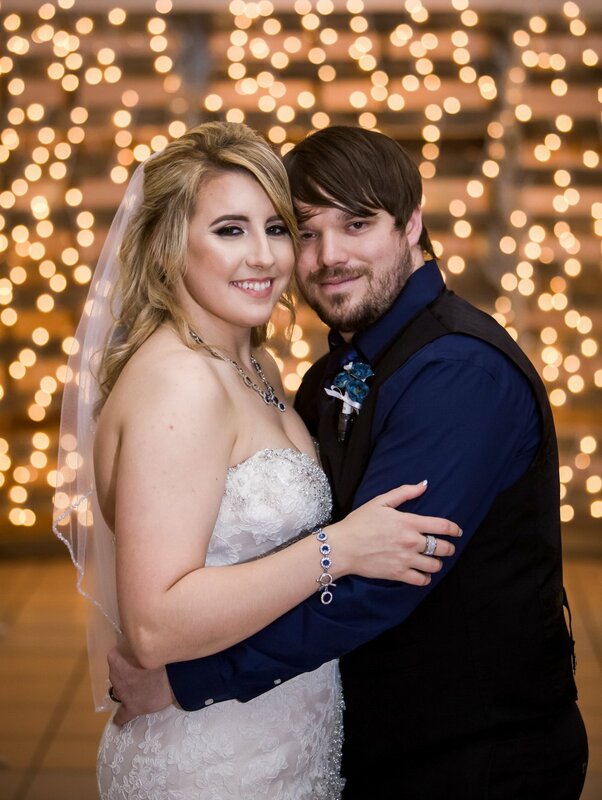 The ceremony had a gorgeous backdrop of doors and pallets covered in white Christmas lights. 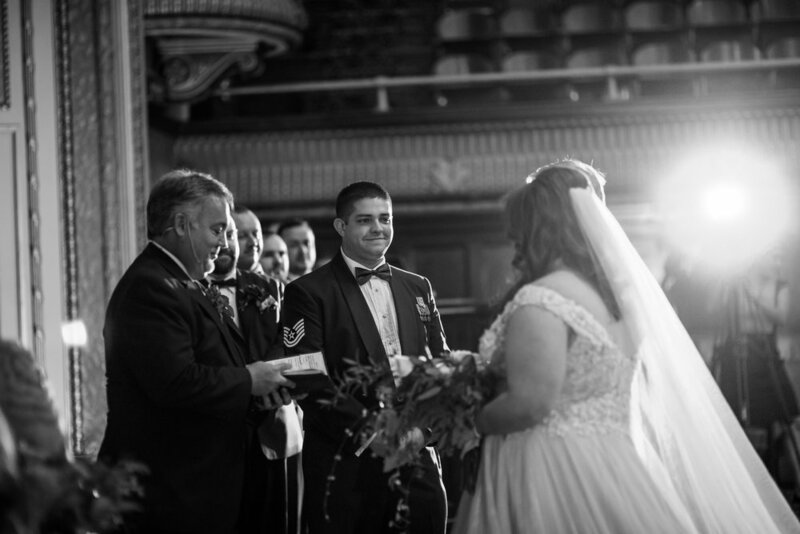 Megan’s father walked her down the aisle to “Bridal March” by Vicente Avella. 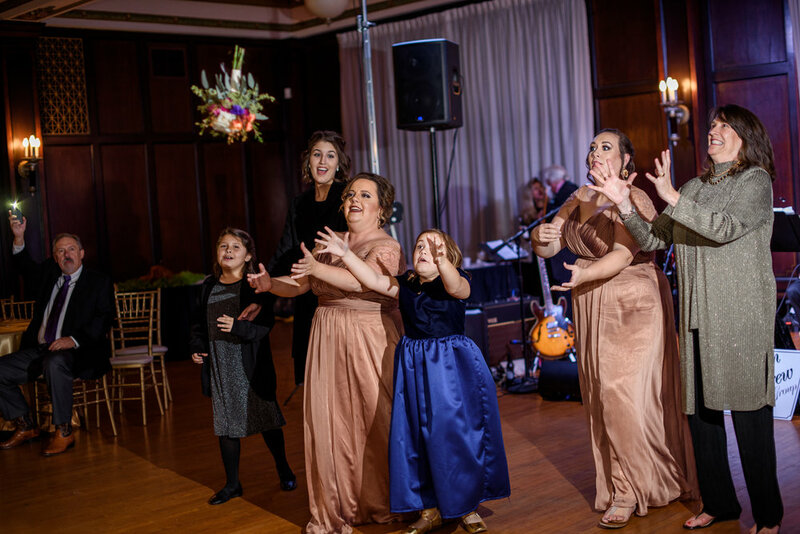 Everything went off without a hitch and it was time to party! The reception hall was framed with show cars, both their own and their friends’. Blue uplighting added to the atmosphere and transformed the entire room. Each table was named after a car brand with their emblem attached to wintery signs. 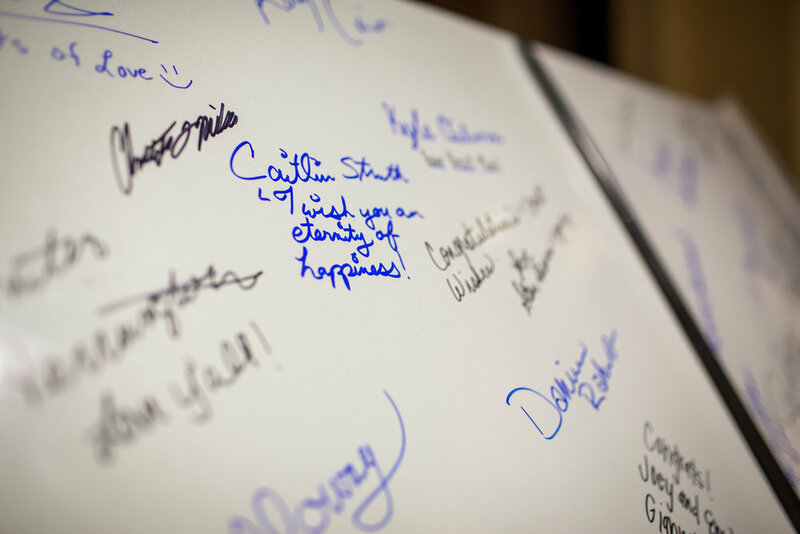 While guests were busy with the car hood ‘sign-in book’ (I know…SUPER cool!) and finding their seats, I snuck Chad & Megan back into the ceremony area for some portraits. I couldn’t resist using their gorgeous backdrop & giving them some time to enjoy a few moments alone as husband and wife. I’m totally convinced no reception is complete without karaoke now! 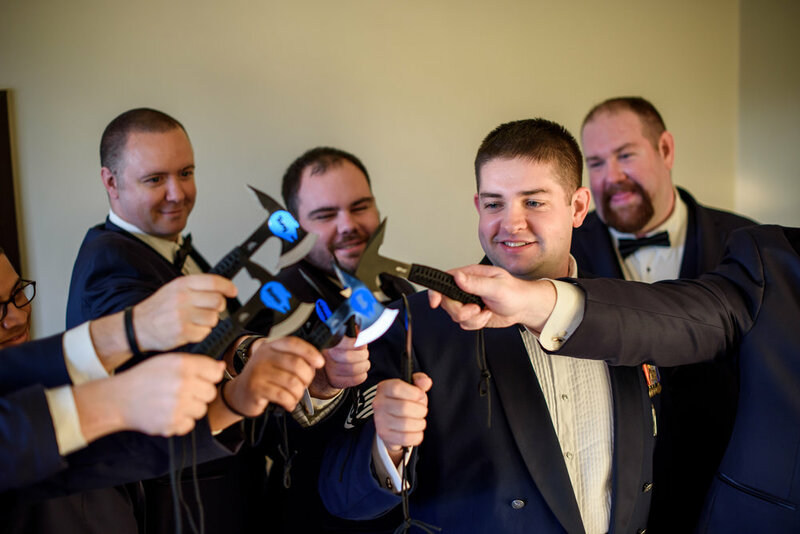 Everyone had a blast getting up to perform, but the groomsmen rendition of Backstreet Boys took the cake! 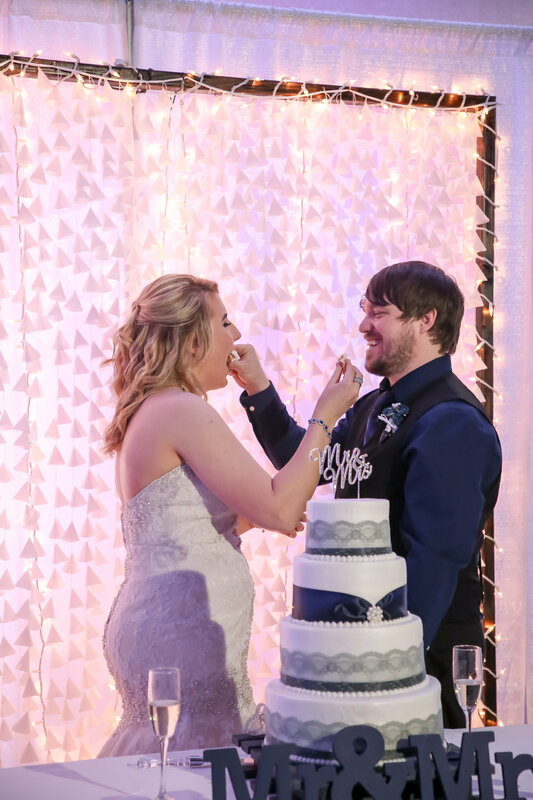 Speaking of cake…Chad and Megan enjoyed not one, but TWO cake cuttings (and smashings!). 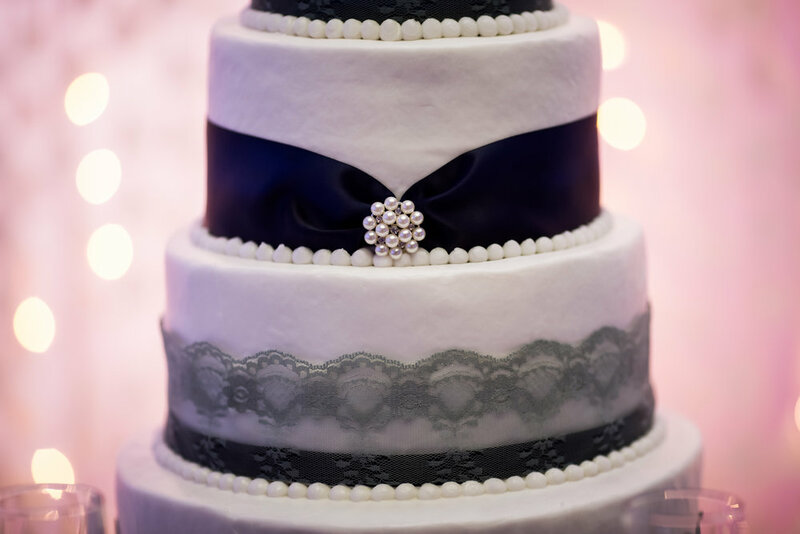 Patty Cakes designed an elegant 4 tier blue & navy cake for the first cutting. Then, they dove into the car themed grooms cake. You’d think Chad learned his lesson the first time around, but Megan got him twice- and I’m not complaining- it made for some hilarious images! Before their grand exit, we snagged a few images with their show cars. The dramatic lighting and crisp design of the cars made for the perfect photo op. At the end of the night, Chad & Megan made their great escape through *tons* of confetti. It was the perfect send off to a perfect day! Chad & Megan are looking forward to building cars, shows, and road trips together. They’re headed off to their Florida honeymoon in June! Mr. & Mrs. Holloway, thank you so much for allowing me to play a role in your wedding day. It was honor to capture this milestone in your lives together! When Douglas and Hannah had their first coffee date, neither of them know that they were starting an incredible love story. 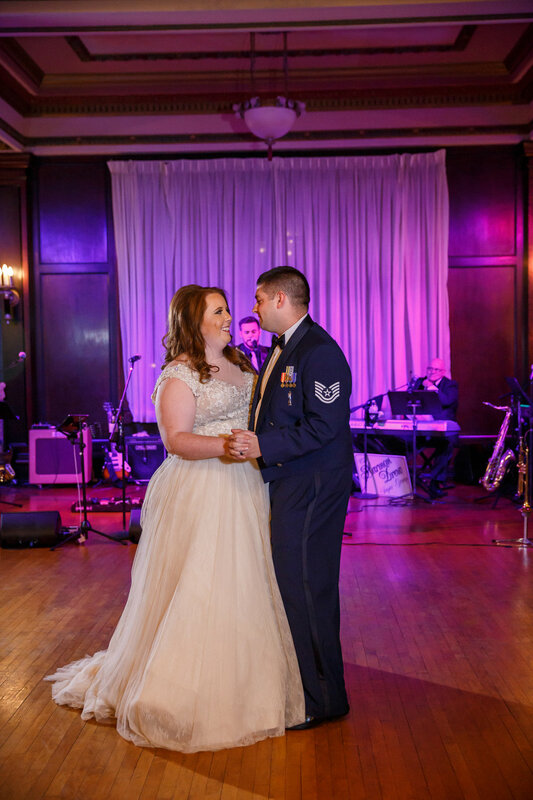 Every part of their wedding day was perfect- from the jewel tone decor to the Disney music during the ceremony, you could feel their personalities in every detail. 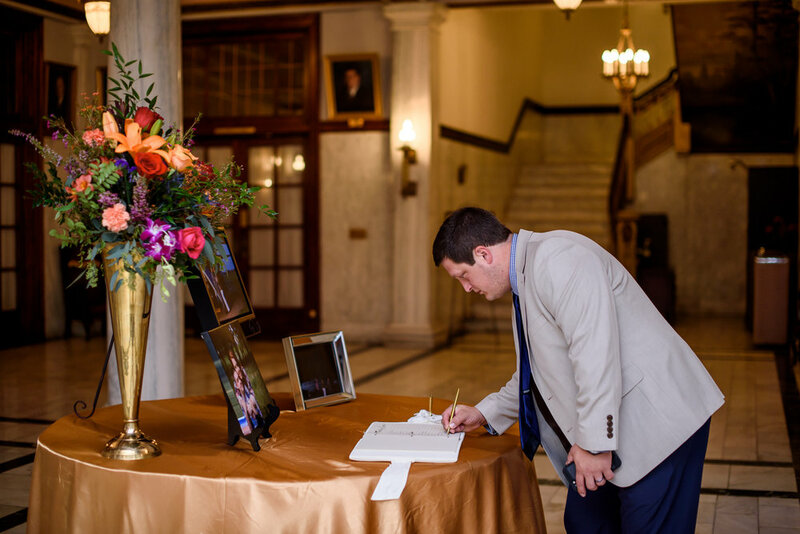 Hannah, I hope you never forget the way he looked at you as you walked up the aisle toward you. I tear up just thinking about it! Douglas, you hang onto this girl- she may be the only person in the world who laughs at your jokes (even if it's only occasionally). Thank you for letting me a part of your love story. A huge thank you to everyone who made this day perfect for Douglas & Hannah!